There is always a strategy for when playing with different kinds of players. For example when playing against players who call too often, the standard recommendation is straight-forward and maybe there’s a little bit of common sense in it, value bet more hands and do not bluff. This is a solid, profitable strategy. 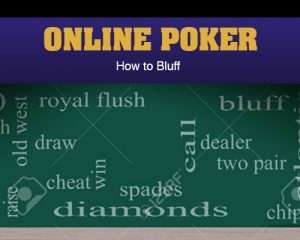 You may not maximize your profits by adhering to a strict rule of “Never bluff a calling station.” In fact, because loose players are more likely than tighter players to hold weak cards, they can sometimes be bluffed profitably in situations where tighter players could not. All it takes is persistence and good timing. Players who call too often are generally considered to be bad players with a losing strategy, and in fact, most of them are. However, particularly when they are in position, their tendency to call pre-flop raises and flop continuation bets with almost anything can actually be quite devastating to a player employing the tight-aggressive (TAG) style of play advocated by most poker strategists. Consider that a standard TAG strategy in no-limit hold ‘em is to enter the pot pre-flop with a raise, bet the flop whether you hit or miss, and then give up on the turn if your opponent has not yet folded and you don’t have a strong hand. This strategy, if employed against a loose player who has position on you, will cost you quite a few pots when you either check and fold the best hand on the turn or allow your opponent to show down a weak but winning hand. Worse, even a loose player who is accustomed to seeing you give up on the turn may eventually get away when you do have a monster and keep betting. Although the TAG will still probably show a profit in the long run even when out of position against a calling station, he will be leaving a lot of money on the table if he does not adapt to his opponent’s loose play. The calling station’s exploitability lies in the fact that a player calls too much. This is bad for two reasons, one more obvious than the other. The obvious reason is that the calling station will put in too much money from behind. That is, he will call bets when he has the worst hand and improper odds to improve. The equally obvious way to exploit this error is to bet more hands for value, confident in the knowledge that your opponent can and often will call you down with worse. But the risk of already having the worst hand is not the only reason why calling with a weak holding is expensive. It is sometimes correct to fold a weak hand even if you suspect it may be best simply because you have little hope of improving and cannot stand further action. Against players who will not fold these ‘hopeless’ hands to a single bet when they should, firing a second and sometimes a third barrel is going to be profitable.